The key to successful exhibit design is understanding the delicate balance between artistic interpretation and functionality. Our designers work with you to develop a thorough understanding of both your business and your tradeshow objectives. Every project receives our total commitment to innovation and implementation. Our designers use state-of-the-art design technology to make use of the latest design innovations. And since we design right here, in-house, your designs can be easily be changed or modified as needed without waiting days or weeks. At Exhibit Solutions, we believe that no two companies are alike. We approach each design with a fresh perspective to achieve maximum results. 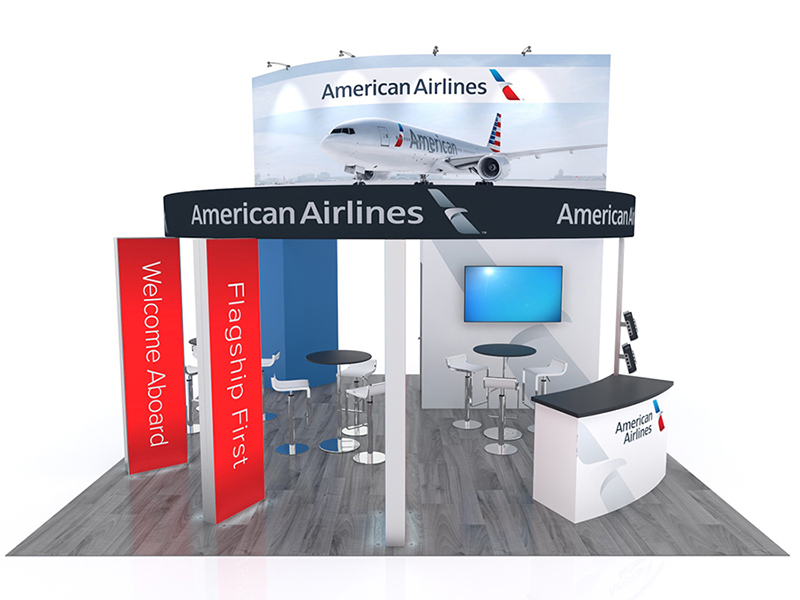 Whether it's portable modular, custom modular or traditional custom, Exhibit Solutions can create and deliver a turnkey solution that meets your design, budget and marketing requirements.